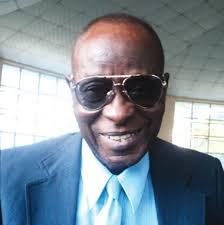 The Association of Nigerian Authors (ANA) Lagos State chapter has conclude plans to host Dr. Tolu Ajayi, a novelist and poet who is also celebrating his 50 years as a writer, reports ITRealms. The hosting, ITRealms gathered has been slated for this Saturday, 9th of December, 2017, at Ade Allen Hall, Yoruba Tennis Club, Lagos by 11:00am prompt. Confirming this, ANA Lagos Chairman Mr. Adeyemi Adebiyi, said Dr. Toluwalogo Ajayi was born in 1946, at Ijebu-Ode, Ogun State and is proudly a Nigerian poet and writer of fiction. Ajayi was educated in Nigeria and the United Kingdom; in the latter country, he qualified in 1970 as a physician at the University of Liverpool Medical School. He also specialized in psychiatry at Memorial University in Newfoundland, Canada, stressing that most of Ajayi's novels and stories draw on his medical experience. ITRealms further gathered that some of Tolu Ajayi’s works are The Year (London: Macmillan, 1981). ISBN 0-333-35280-7; The Lesson (Lagos, Nigeria: Granny Fatima, 1985); The Ghost of a Millionaire (Heinemann Educational Books Nigeria, 1990). ISBN 978-129-174-5; Eyes of the Night, short story collection including his 1990 BBC World Service winning story "Family Planning" (Lagos, Nigeria: Granny Fatima, 1991); Images of Lives: Poems for Everyone, poetry collection (Lagos, Nigeria: Granny Fatima, 1991);Motions and Emotions: Fumes of Poetic Feelings, poetry collection (Lagos, Nigeria: Granny Fatima, 1993); After A Bad Moon: a Sh-to-vel, story collection(Lagos, Nigeria: Granny Fatima, 1995).